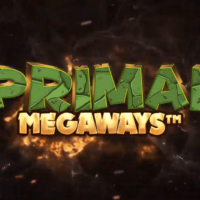 Leading UK-based game studio Blueprint Gaming is locking horns with the giant woolly mammoth to offer colossal payouts in its new slot, Primal Megaways™. The innovative Replay Guarantee™ feature is activated when players win less than 10x stake in free spins, with winnings carried over and the free spins replayed. It is the sixth Blueprint game to feature the popular Megaways™ mechanic licensed from Big Time Gaming, this time with up to 46,656 ways to win.